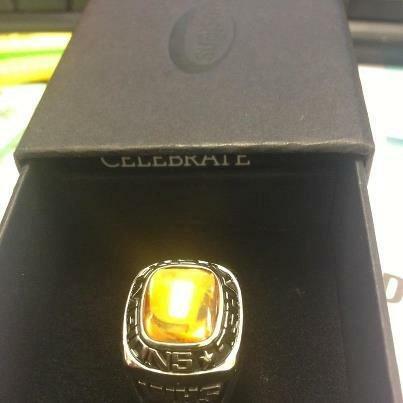 On December 20th, 2012, the Jostens team of Northern Virginia personally recognized Mr. Anthony Whitten, adviser of the Westfield HS yearbook (The Guardian) with a commemorative championship ring for receiving Virginia High School League’s Col. Charles E. Savedge Award. To receive the Savedge Award, a school must receive five Trophy Class rankings within a seven-year period. The VHSL has recognized schools since 1995 for the Award for Sustained Excellence in Scholastic Journalism. Jostens has been the official commemorative partner with the VHSL since 2008 and through the partnership, designs and crafts the rings allowing every adviser and coach to personalize their own ring. Mr. Whitten also anticipates receiving the Savedge Award for The Watchdog, Westfield High School’s award winning newspaper, in which he’ll earn a second ring. Jostens and the Virginia High School League are privileged to recognize and provide this symbol of excellence to deserving State Champion advisers and athletic coaches across the State of Virginia each year.